Just a few minutes drive from the hustle and bustle of metropolitan life, discover BELLA VISTA, a home more than you can wish for. 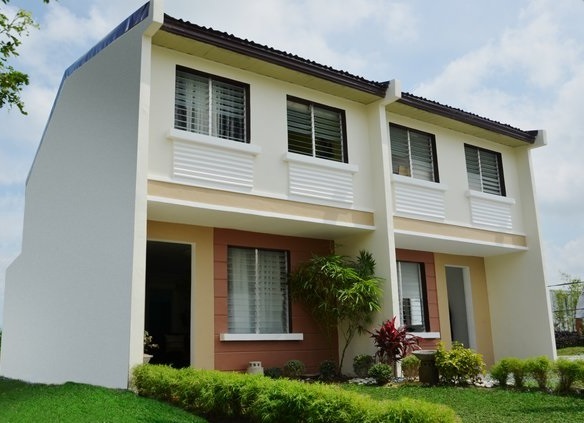 Located amidst the terrain of General Trias, Cavite, Bella Vista offers you a haven of a community complete with the amenities of a good life. A few minutes drive from the major city centers, transport yourself to serene surroundings among the spacious area of Cavite. For only a P5,000 reservation fee, you can now stake out a place you can call your very own. Backed by years of experience in the development of housing and residences, DECA Homes promises the same care and expertise in providing you with your own home. DECA HOMES BELLA VISTA townhouses can accommodate two bedrooms that usually with one bath and toilet. They normally have a floor area of 53.0 sq. m and a lot area of 50 sq. m.
DownPayment, P292,500, may be staggered. With motorcycle promo mechanics of 7days compliance! Upon Pag-IBIG Loan take-out. Please call or text Theresa De Leon at +632 917 8876383 (Globe/Viber/WhatsApp) or send an email to mtcm.deleon@gmail.com for your inquiries, reservation or to schedule a tripping.